We aren’t really cocktail people, I’ll be honest. Jay likes vodka mixed with….Le Croix, mostly, which I guess is technically a cocktail, but it’s very rarely that we drink some kind of a specialty mixed drink at home or restaurants. Mainly because they’re complicated (at home) and expensive (out), and we’re lazy and cheap. Full disclosure. But! That doesn’t mean we aren’t fully into all the holiday-spiced stuff that is available right now – flavorings, combinations, amped up classic cocktails, I know you’ve seen them. We’ve had a few at restaurants that are truly delicious, and I wanted to make a simple version at home to complement a drink setup at a holiday party. I think offering too much liquor is a recipe for disaster (just our friends? ), but that having beer + wine + one cocktail at an event is lovely and charming without being too expensive or too much work. So that’s what we’re doing! 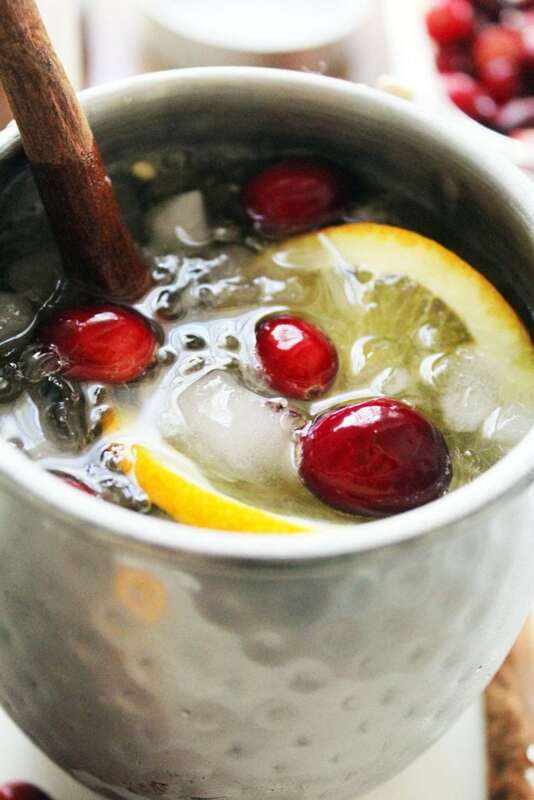 A take on a regular Moscow Mule with ginger simple syrup and soda instead of ginger beer. 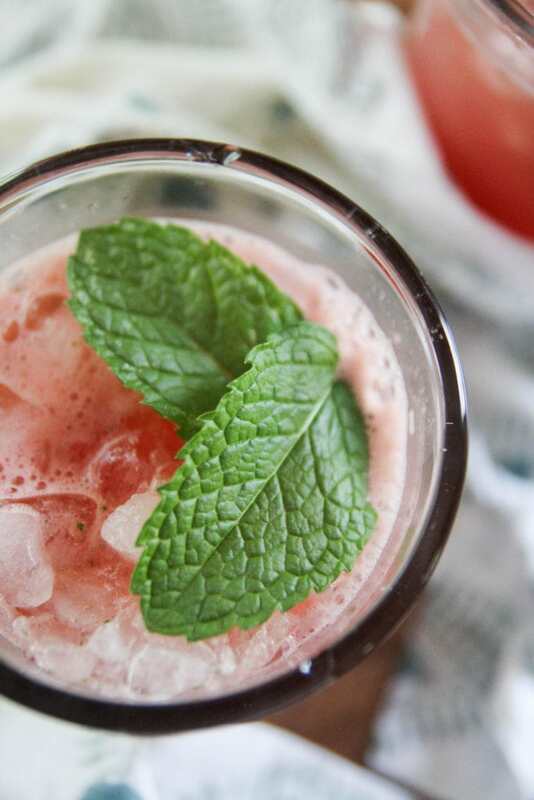 The garnishes are distinctly holiday, but the recipe can be used year round, DUH. The simple syrup takes all of 5 minutes to make, and gets more delicious the longer it hangs out with the spices in the fridge. So, make now, serve at every weekend until January 4, give or take. Restaurant Review – Fishy Fishy Cafe is anything but! 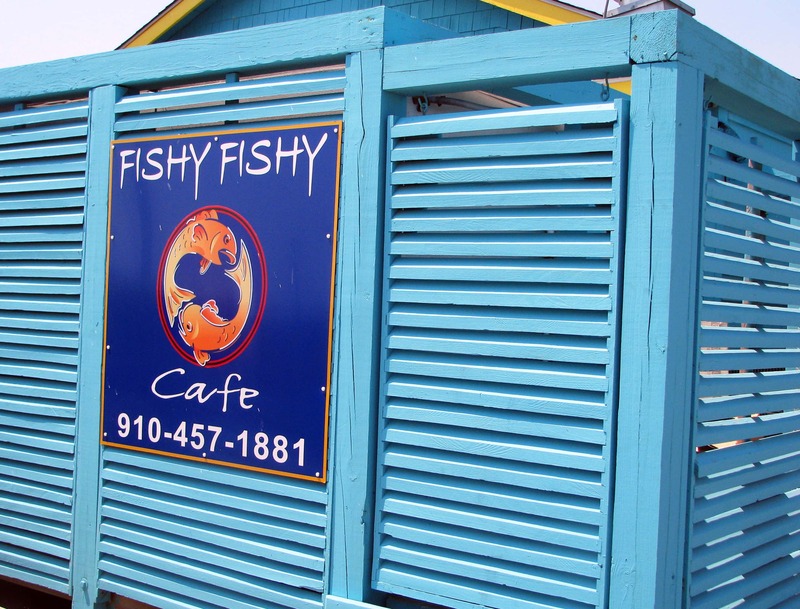 Last weekend, while visiting my fabulous friend Jessica in Southport, NC, I had the distinct pleasure of eating and drinking to excess at Fishy Fishy Cafe right on the beach. It was AMAZING. I love spending time with Jess because she’s one of my best friends and thinks she’s Asian like me, but ALSO because she’s a total foodie and we order tons of fun food everywhere we go and share everything and enjoy our lives.